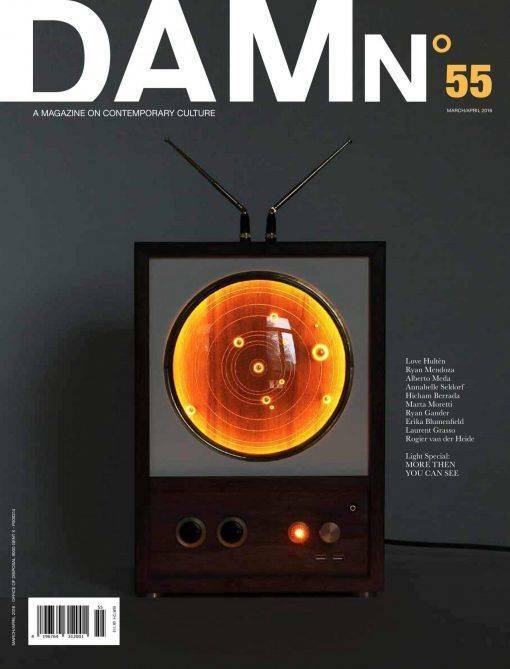 DAMn° is an independent publication with an open-minded view on the interchangeable worlds of design, architecture and art. Exploring the blurred boundaries of creative forms and expressions, it is about people, products and places, tradition and originality, improvisation and inventiveness. The support of contributors from across the world offers a diverse and expansive mix of inquisitive and wilful stories – creative responses to contemporary culture with a distinctive visual and textual attitude. In DAMn° 55 you’ll read about the thoughts and works of Ryan Mendoza, Alberto Meda, Love Hulte?n, Annabelle Selldorf, Hicham Berrada, Ryan Gander, Erika Blumenfeld, Laurent Grasso, Rogier van der Heide, and other fascinating characters. You will also discover several intimate facts related to the incredible history of the family-run Moretti company in Murano. On top of this fine array of offerings is our special file on Lighting which is bursting with information on the latest and most scintillating developments in the field. Kosmos by Love Hultèn. 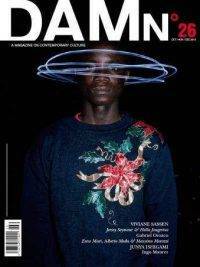 DAMn°’s starting point is where most magazines stop, bringing editorial content beyond hype or conventional academic debate. 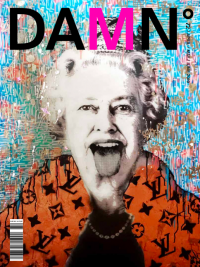 Unafraid to link the personal and the political, the economic and the emotional, the stylistic and the social, DAMn° juxtaposes beauty and decay with an approach that is both thoughtful and playful. Well that’s the general idea anyway.